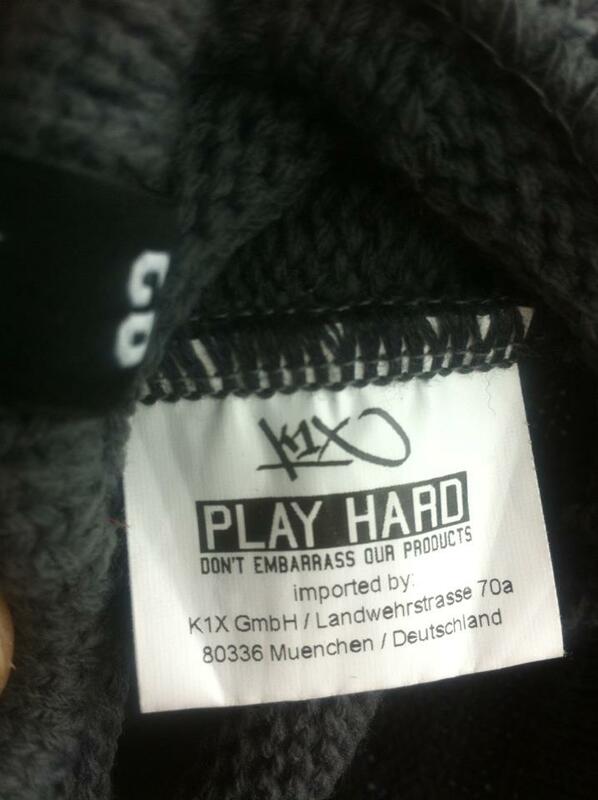 Play Hard - and don't embarrass our products. We know it’s your birthday, but really dude? 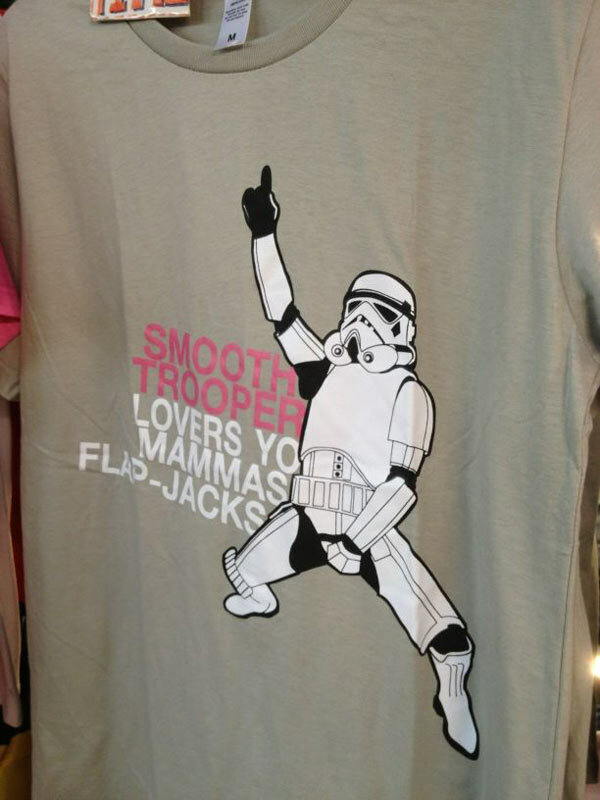 How about giving that light-saber a rest this time? A broomstick and blindfold are kind of traditional here. 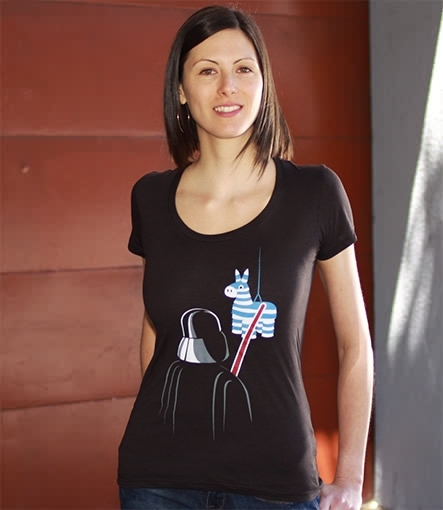 Oh, maybe you are a bit pissed that we didn’t get the Skywalker piñata… It’s like you’re not even trying to have fun. See, you can’t win, Darth. 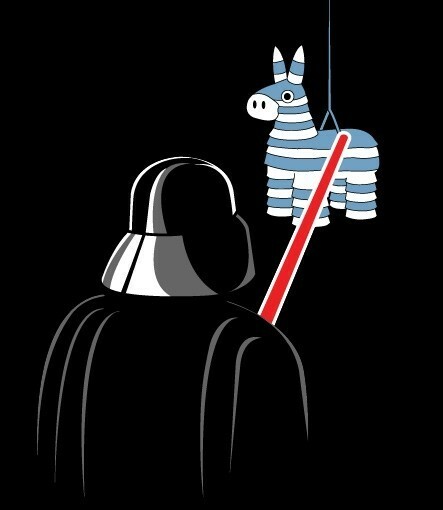 Even if you strike this papier-mâché donkey down, it shall become more powerful than you could possibly imagine. It will rain a bounty of Tootsie Pops and Smarties. 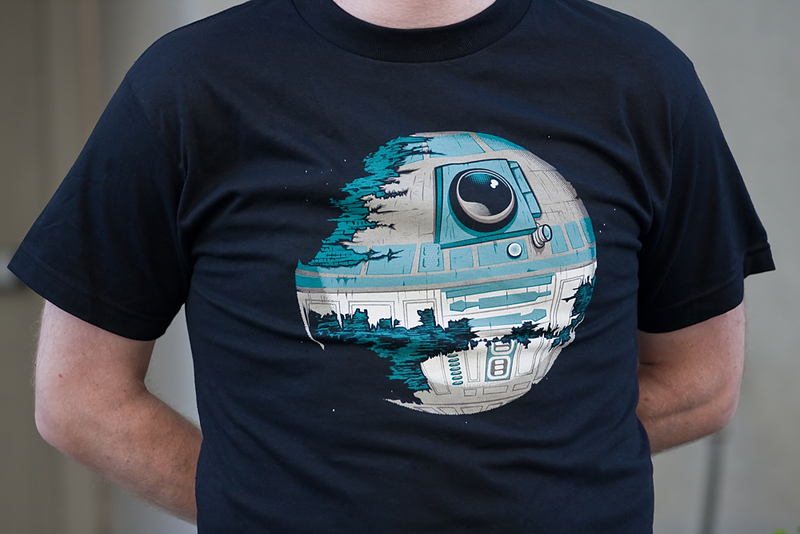 And the younglings will dive about like crazed Jawas, grabbing all the good stuff. You’ll go nuts trying to find one box of Junior Mints. But all that’s left will be some salt water taffy, a plastic whistle and some yucky fruit snacks. That’s right, Obi Wan has taught me well! Previously unknown drawings by Leonardo da Vinci have been discovered, revealing the famed artist/inventor/scientist was even more ahead of his time than anyone realized. 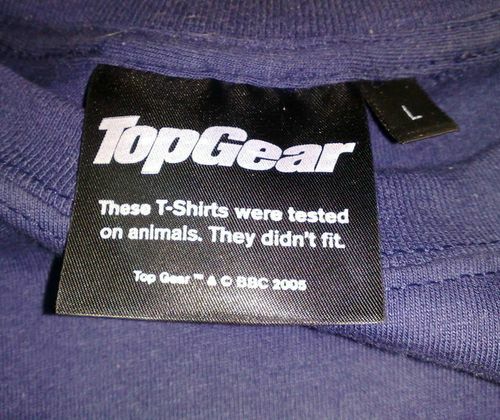 TopGear - This T-Shirt has been tested on animals. 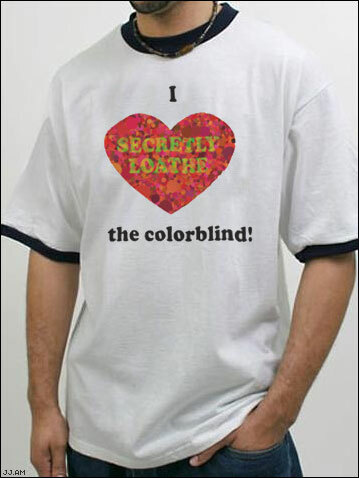 They didn't fit.